It’s standing room only at the Notre Dame High School cafeteria in Sherman Oaks. Though the meeting has yet to begin, the mostly elderly and predominantly white crowd of about 250 is already seething. A silver-haired woman named Wilma, working on her meal of tacos and tortilla chips (included in her $5 donation), takes out a flip phone to show off the object of her rage: a grainy photo of a McMansion going up on her block. “We all thought Sherman Oaks was a lovely neighborhood until this,” she says. Another woman, named Linda, borrows my notebook and draws a diagram to illustrate how a nearby building complex was able to evade city restrictions on density. ¶ The attendees are still writing down questions on green sheets of paper (“Why is there no traffic signal at Ranchito and Riverside?” “When will the asphalt on my alleyway be repaired? I’ve been watching it deteriorate since 1945.”) as Richard Close takes the podium. At more than six feet tall and clad in a dark blue suit, he carries the air of authority, and when he starts speaking into the microphone, the grumbling quiets. 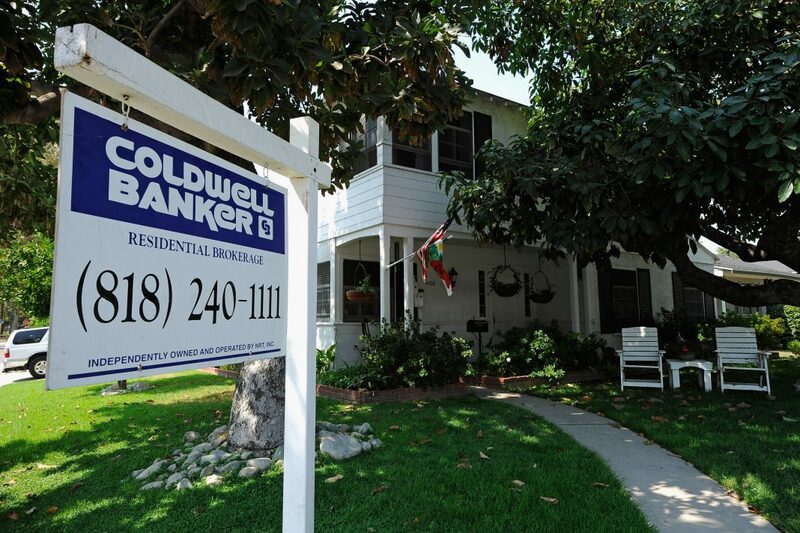 For 39 years Close has run the monthly meetings of the Sherman Oaks Homeowners Association as if it were an unruly political faction. His blue newsletter stokes and channels the anger of SOHA’s 2,100 devoted households, which, he likes to remind people, represent a powerful voting bloc in a city with chronically low turnout. Anybody seeking or hoping to retain citywide office is expected to court the group, and not just at the candidate debates it hosts. Eric Garcetti has shown up no fewer than eight times. City Council president Herb Wesson came to the January gathering. Over the years Close has maneuvered SOHA to ride one populist wave after another, from the successful ’70s antitax insurgency of Proposition 13 to the failed attempt to carve out the San Fernando Valley from the City of Los Angeles in the early 2000s. The main item on the agenda at tonight’s gathering is the expansion of the former headquarters of the Sunkist Growers association into a $100 million office, residential, and retail redevelopment on Riverside Drive. SOHA is virulently opposed, and its members have whipped themselves into a frenzy of opposition, brandishing giant stickers and signs that read: “www.StopSunkistBuildingExpansion.com.” Close sees the anger as the seeds of the next great citizens’ revolt: the Neighborhood Integrity Initiative, the March ballot proposition (aka Measure S) that aims for a near-total shutdown of all sizable real estate development projects across the city for two years. His hope? To strike a blow against what he sees as a corrupt system. “City hall is controlled by municipal unions and developers,” says Close. The last time L.A.’s establishment got a strong message, according to Close, was in 2015. That was when the unknown David Ryu tapped into voter disgust with rampant development, going up against 13 other candidates to represent Council District 4, which includes Sherman Oaks, parts of Hollywood, and Hancock Park. (Along the way SOHA set up a meeting as if it were a speed-dating forum, with candidates hopping from table to table at five-minute intervals.) After the primary, Ryu faced a runoff against Carolyn Ramsay, the chief of staff to the retiring councilman Tom LaBonge. Ramsay received the bulk of endorsements, from labor and the political establishment. She didn’t go over so well with SOHA, though. The association doesn’t endorse candidates, but Close, a registered Democrat, made it clear through the meetings and newsletter that he was exasperated with the status quo. 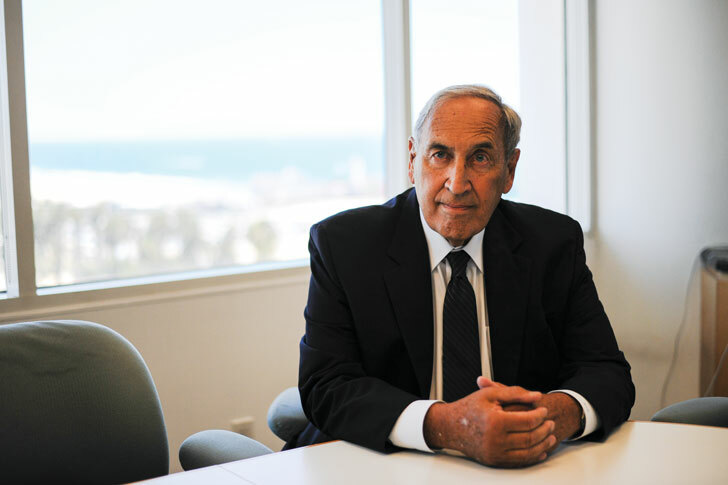 Presiding over the Sherman Oaks Homeowners Association for almost four decades, Richard Close-seen here in his Santa Monica law office-has been a longtime proponent of Valley secession. He joined SOHA in 1976; a year later he was running it. Around that time sleepy homeowners’ groups in places like Hancock Park and West L.A. were waking up, clamoring for more say in local affairs. Close thought his group could be more than just a squeaky wheel; it could lead popular revolt against a free-spending local government. Opportunity soon presented itself. At one meeting a representative from the county assessor’s office warned the crowd that property taxes were likely to triple. People were terrified. Not that he always wins. Close has long complained that city hall overtaxes the San Fernando Valley and shortchanges it on services. (“What does the councilman from San Pedro know or care about Granada Hills, or Chatsworth, or Sherman Oaks?”) He fought for years to get the Valley secession measure on the ballot, but when he finally succeeded, in 2002, voters in the rest of the city crushed it by a wide margin. SOHA also opposed transportation-boosting Measure M, arguing that the Valley wouldn’t get its fair share of Metro dollars. Voters overwhelmingly backed M in November. Ryu didn’t know much about SOHA when he jumped into the race, but when he knocked on doors, people would tell him, “I’ll see you at the SOHA meeting.” Speaking to the packed room at Notre Dame High, the city’s first Korean American councilman talks about the “Stop Sunkist Now” movement. Many in the audience wave the campaign’s bright yellow stickers. “See all these yellow stickers?” Close asks. “What are you going to do for us?” Ryu tries to reassure the crowd but doesn’t pretend that he alone can halt the project. “There might have to be compromises,” he says.